We are surrounded by wilderness here on our Idaho homestead. We spend as much of our free time as possible outside and adventuring. What do our adventures consist of? We live a very traditional life out here so a lot of our time in the wild actually has a purpose. We may be scouting for a good hunting spot, harvesting our meat or firewood for the year, taking a 20 mile hike for some casual exercise, or even panning for some gold (really!). We really put our wilderness survival skills to the test! Any time we leave our property, whether on foot or in a vehicle, you can be sure that we have our gear and are prepared for anything. Not only do we have our gear, but we always have additional clothing and we each have a firearm. We live in a very vast location and you never know what may be around the next corner, when your truck may break down miles and miles from home, when the weather may turn, or when even an unexpected injury will happen. Our predators are typically the 4 legged kind, but you never know when you may run into the 2 legged kind as well. Our safety is a top priority and I feel that survival moms should know how to protect themselves and their children. I feel very strongly that women should not only carry a firearm, but be very knowledgeable on the gun they carry, know gun safety and know how to very accurately use their gun. This is a subject you will find in one of my upcoming posts, but I thought I would give you a little food for thought for those of you that do not carry. Before I met my husband (aka Mountain Man), I was already busy running wild in the mountains and enjoying the outdoors. I grew up on a farm and my Dad wanted boys and ended up with two girls! As a result, my sister and I were the epitome of tomboys. I knew the outdoors and I LOVED it! I am thankful for the chivalrous nature of my Mountain Man, BUT when it comes to being in the outdoors, he knows I can hold my own and he expects me to know how to handle and take care of myself. After having children, it only seemed natural to teach my children what I knew. Many are not used to the outdoors the way my Mountain Man and I are, which is why I want to take you through the steps for getting and keeping your family educated, trained and ready. Embracing things as a family is a great opportunity to grow as a family and also empower and nurture your children. When they see Mom and Dad do it, the kids are more likely to jump in and be enthusiastic. Let’s say that your husband falls and breaks his ankle during your next excursion. What will you do? Let’s say you are all out camping, and one of your children wonders off and gets lost. You split up in an effort to find your child. It is getting dark and you have been unsuccessful in finding them. Does your child know enough to survive, lost, for a night without you? This is critical!!! 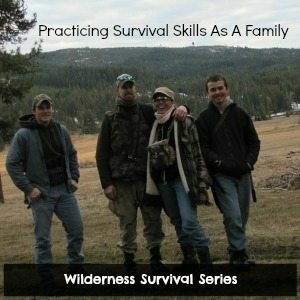 This is why, even though our family is very well versed in survival, we still go out as a family and practice our skills every chance we get. The old adage “Practice Makes Perfect” is just as important as “Knowledge Is Power”! The entire family should know what gear to carry, what to carry on their person, how to light a fire, how to build a shelter, how to get safe drinking water and how to sustain themselves in any situation. You never know what may happen when you are out on even a simple hike. This spring. our family practiced the whole 9 yards, including staying out for the night. Here is a little video of our excursion. 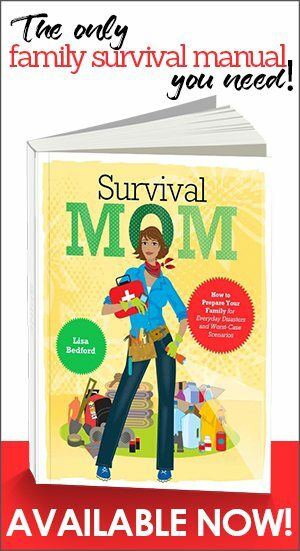 As part of this new series here on The Survival Mom blog, I will walk you through what we carry in our packs, the varying ways we start fires, build shelters, hunt for food, etc. 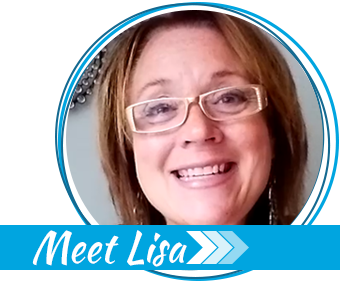 This is just one part of a series of posts where I will provide how-to information and videos that you can watch with your children or as a family. I look forward to sharing my knowledge with you and hope to encourage you to embrace these tasks as a family. Tammy resides very traditionally off-grid in the northern Idaho wilderness with her family. You can follow her wilderness adventures at TrayerWilderness.com. Love the post, I hope more women will step up and learn more out door survival skills. Camped for the first time with my husbands’ family, loved it. We have camped ever since, our kids love it. Now that they are on their own I hope they will continue with their families. It took a lot of years, but I finally convinced my kids that their EDC is extremely important. We work and go to school in areas where it should be a simple enough matter to walk home if necessary, but you never know what will happen. Carrying a gun isn’t an option right now (more’s the pity), but the other items in your EDC are practical necessities. Everyone needs to know how to find/build shelter, light a fire, and defend themselves. The older they get, the more they realize that mom’s not just paranoid, she’s practical. 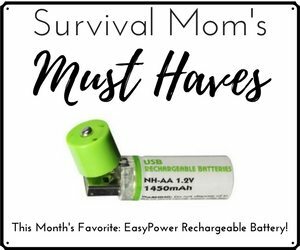 The supplies I keep in my purse and car have helped us out many times. They both now carry a variety of items in their pockets at all times. Good for you. Not many men worry about the skills you brought up for their families. 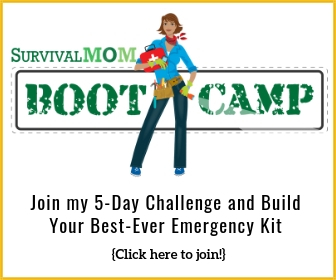 I teach Survival and Emergency Preparedness here in North Idaho (Home ) and the ReDoubt. This year has exploded with the women bring their kids and grand kids to classes. I teach every Wed night here in Priest River. All classes are free, so if you would like to come and share / learn let me know.